As the old Apple slogan goes, “there’s an app for that”. That’s definitely the case when it comes to matched betting, as there are lots of handy betting apps which make things more convenient. 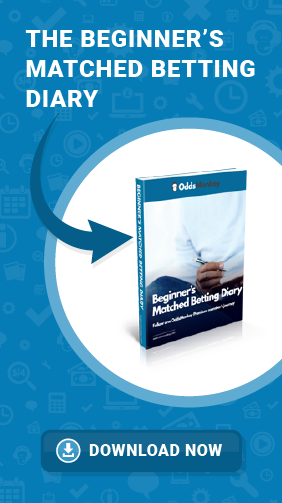 We’ve compiled a list of the 7 best betting apps UK based matched bettors can use to make life a little bit easier. Ideally, we didn’t want this to be a list that comprised of 7 bookmaker’s betting apps. There’s no doubt, that having easy access to your most visited bookmaker’s apps is very handy. It goes without saying that you should have them available. It’s for slightly different reasons that we decided to include the Bet365 betting app, though. Aside from being able to place bets on the Bet365 platform, there are also a lot of other benefits to using their app. Firstly, you are able to watch a live match graphic which gives you a good indication of what’s happening during each match. Yes, most bookmakers have this handy feature, but we’ve found Bet365’s to be the most accurate, and they cover a larger number of sports and matches. They also step that up an extra notch by providing live streams for lots of football, tennis and horse racing events. Sometimes, you need to either have a funded account or have placed a bet on the event to watch the stream, but it comes in very handy. Overall, the Bet365 betting app is well designed, easy to navigate and quick. It’s available as an Android betting app, and of course, iPhone also. While we’re generally going to stay away from betting apps that are linked to bookmakers, the Betfair exchange app is a must for matched betting on the go. The Betfair exchange app is super quick and well designed and allows you to place and monitor your important trades within the app. You’ll notice that it has all of the features of the desktop site, so you’re not going to be missing out by placing your lay bets on your phone. One thing to note, is that unlike some other bookmaker apps, there aren’t any betting app offers to encourage you to use the app. Keeping up to date with the latest scores when you’ve placed a matched bet can be frustrating if you’re out and about with only your mobile phone to keep you company. You have to regularly go to your web browser, visit a score site and look for the match of choice. However, one of the best betting apps for Football scores and other sports is Live Score. The great thing about this app is that you only have to navigate to your chosen match once. Unlike other betting apps uk matched bettors use, you can opt in to receiving push notifications when a key event happens in the match. So you can stay up to date with the latest events without even having to unlock your phone! Live Score also have a great range of data for each event, including the team line-ups, detailed match commentary, and live league tables. The design of the app isn’t the flashiest in terms of aesthetics, and it looks a bit simple. But in terms of functionality and ease of use it gets the job done! When you get a new phone, Forza Football should be one of the very first apps you download. It’s not so much one of the best betting apps UK matched bettors will be familiar with, mainly because it’s not really a betting app. It’s more of a general Football fan app. Like Live Score, it provides you with scores, but because Forza Football is only focused on Football, it’s good to have both. It’s from a general Football information standpoint that Forza Football excels. One of the most popular features of the app is the calendar section which details all of the Football matches that take place on any given day. From here, you can drill down into the match, and it’ll tell you the start time, where it’s taking place, who the referee is, the average age of the teams, their form and the lineups when they’re announced. You can also view the latest odds, as well as opt in to receiving match notifications. One very handy feature is the search function, where you can search for a team, and view a wide range of information about them, such as their squad, their fixtures, transfer rumours and latest news from a wide range of sources. The design of the app is fantastic, and it’s very easy to use. You can be sure that whenever you need to find some key information, Forza Football is the best app for Football matched bettors. Again, this isn’t strictly a betting app, but it’s an app that can help you with your matched betting. It’s certainly an app for those of you who have an eye for statistics. Of of the best aspects of this app is the daily match statistics section. WhoScored compile a list of interesting stats relating to the days matches. This, of course, can be applied to betting and help you when choosing your matched bets or even your mug punts. Furthermore, there is a section for every major team in European Football’s top leagues. Here you will find an excellent preview, based on statistical analysis, which tells you the key traits of each team. In addition to this, is the well regarded WhoScored ratings system which is based on a variety of different sets of data, to give an accurate reflection of a team or players quality. If you drill down further into each player, it will give you key statistics, such as the number of appearances they’ve made, total goals, shots per game, assists etc. This would come in handy if you’re taking part in the Football Index welcome offer. Overall, the app is well designed and a gold mine of information. As they say, “knowledge is power” and this great tool certainly provides you with a lot of knowledge. So far in our run down of betting apps, it has been a tad Football heavy, so we’re going to provide something for the horse racing fans out there. At The Races is an utterly superb source of information for worldwide horse racing. You may have visited their website if you’re even the smallest bit interested in the sport of kings. But their app is definitely something that will be of use for matched betting on the move. The At The Races app gives you all of the latest race cards for horse racing around the globe including the action from UK & Ireland, USA, France and South Africa. This makes it extremely easy to view the latest runners from each race. Also included is the latest odds, as well as a race predictor, and Time Form tips for each race. Additionally, there is also a results section, so you can pick up the latest horse racing results, as well as the starting prices and a brief overview of the race. At The Races is a superbly designed betting app, and very easy to use. So we’ve covered football and horse racing, but we can’t leave without giving something to those who enjoy tennis. Whether you’re matched betting on tennis events or placing mug bets, this app will help massively. This is a free app, which is superb for tracking the latest results from all of the major, and some not so major tennis tournaments from around the world. While you can find the latest scores from the events you’re interested in…unfortunately there aren’t any push notifications, so it’s probably best to use the likes of Live Score if they’re covering your tennis event. Where it excels though, is in giving you an excellent range of stats and bios for the players in each tournament, which helps you to build up a picture of a particular match. This is especially useful when you’re interested in a smaller tournament. The design of the app is perhaps a bit basic, but it is easy to navigate and includes all the key information you need to get the job done.